A series of English Country Dance Weekends for Enthusiasts. The weekends are aimed at suiting a wide range of tastes, with dances from the 'Playford era' (c1650) up to the present day including 'New England' Contras & Squares. 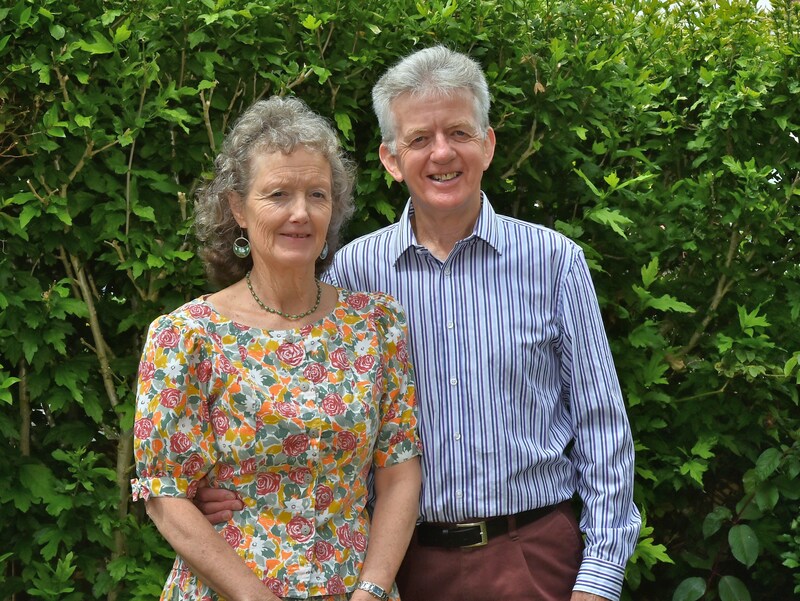 The series is organised and led by John & Hilary Turner. It is aimed at people who enjoy their dancing and aspire to improve their skills, and understanding of English Country Dance, but not at the expense of courtesy and cordiality. The emphasis is firmly on enjoyment. Our Final 'Light-hearted Dance Weekend' : 18th - 20th Oct 2019. Not yet launched . ''One of the best weekends & they have all been good.'' - Ros Cooper, Dawlish Warren, Oct 2017. 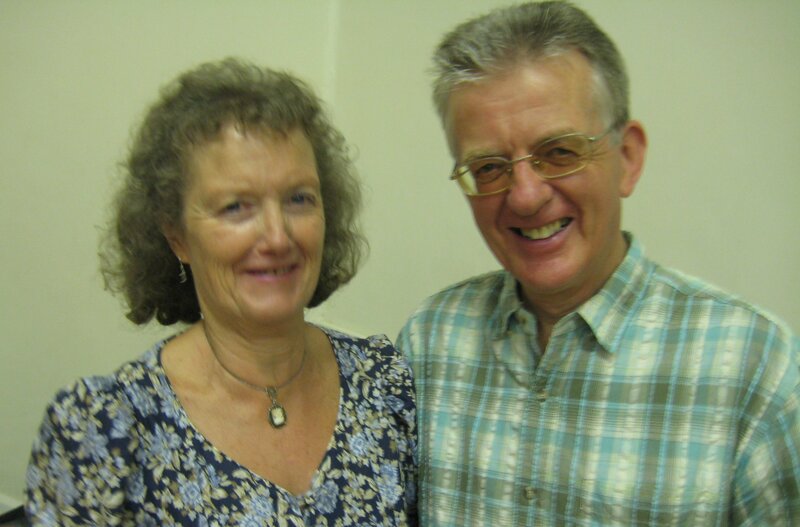 'It was truly a friendly & enjoyable house party' - Bob & Liz Ellis, Bournemouth Jan 2014. 'Couldn't be better, something for everyone.' - Carol & Ted Hewson, Bournemouth Jan 2010. 'Thank you for a fabulous weekend, best yet!! friendly atmosphere'. - Beryl Hartley & Martyn Bidgood, Bournemouth, Jan 2008.
email us Mailing List Previous Light-hearted Weekends HF Dancing Holidays. Home page. John's CV. The events are usually held at hotels and similar venues around the country. 'The Langstone Cliff Hotel' in Dawlish Warren, Devon. The weekends comprise a mixture of dances and workshops and some free time to explore the local environs. Customers gather for evening meal on the Friday and the event ends with a Farewell Dance on Sunday afternoon. See below for more detailed information & current events. John & Hilary Turner from Southampton organise & lead the events. The calling is shared between John and our 'Guest Caller'. & New Zealand in recent years. With Hilary he also leads folk dance holidays for HF Holidays, and has even been hired to teach 'English Country Dance' onboard Fred Olsen's Cruises. Hilary, originally from the North-East, is Booking Secretary and Hostess. The music is provided by our Guest Musicians, usually a well-known duo. For previous Events, Guest Callers, Musicians, and comments from many of our Customers see: Previous Light-hearted Dance Weekends. We aspire to improve our dancing skills, knowledge and understanding of English Country Dance but not at the expense of courtesy and cordiality. inviting them to change tables and table companions at mealtimes (we do not expect partners or close friends to split up). We aim to a provide a 'value for money' weekend, using well known folk artists, both callers & musicians, at venues providing good quality accommodation, food, ballroom & service. A weekend of English Country Dance to suit a wide range of tastes, with dances from the period c1650 to the present day including New England Contras and Squares. It is aimed at enthusiasts who enjoy their dancing. The emphasis will be firmly on enjoyment. The weekend commences with dinner on the Friday evening and concludes with a farewell dance on the Sunday afternoon. There will be a mixture of dances & workshops, and some free time to explore the local area. Click here for a typical weekend programme. The Langstone Cliff Hotel, Dawlish Warren, Devon. Oct 18th - 20th 2019. It is not possible to book for our 'Light-hearted Dance Weekends' prior to their Launch Date. Launch date for a particular event is signalled by the circulating of event brochures by post to all customers on our mailing list. Non-UK residents will receive an email. To book for one of our 'Light-hearted Dance Weekends' access the event from the list above, download & complete a copy of the event's booking form, enclose a cheque for the appropriate amount and post to the address on the form. NB. We do not accept bookings by phone or email, or without a full deposit, unless from non-UK residents. Beware! We circulate our brochures to over 250 individual addresses as well as to dance clubs throughout the country, so don't delay, we fill up extremely quickly! If you wish to join our mailing list see below. If you like diagrams, here is a graph indicating how quickly we fill up! Graph of '%Full' against 'Elapsed days since launch' for 6 of our recent dance weekends. NB. Regular customers automatically remain on our Mailing list. Non-UK residents please send us your email address.